So I’m more than fashionably late to this particular party…! I didn’t really appreciated the scale of the Olympic Park until I saw it “in the flesh”… maybe that just means I need a bigger TV. I was slightly amused as a fairly elderly couple told me they were standing and waiting to see the Orbit move: it seems a policeman had told them that it had been lifted while onto the back of a huge lorry yesterday, and that the lorry was setting off for Glasgow later this afternoon. I wonder how long they waited? 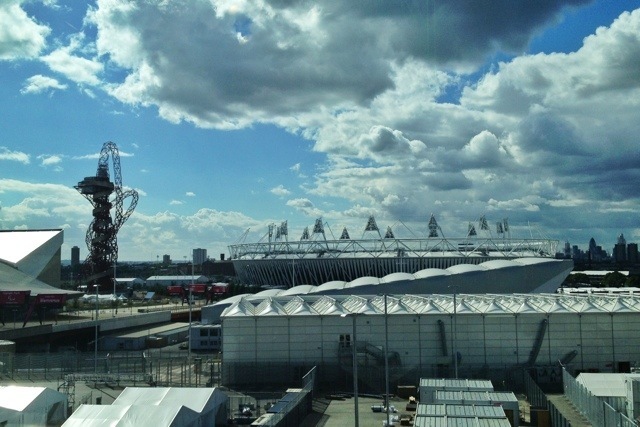 This 1,816th post was filed under: Photo-a-day 2012, London, Olympics.